LUDINGTON, MI — It’s rare these days that I get a chance to just sit. Deadlines beckon and emails stack up. If not emails then other online demands, or family and home matters. Quiet moments, it seems, are hard to come by. So, I relished the opportunity I had recently to just sit quietly on a bed of pine needles in the forest, more precisely in the middle of a portage during a solo canoe outing. 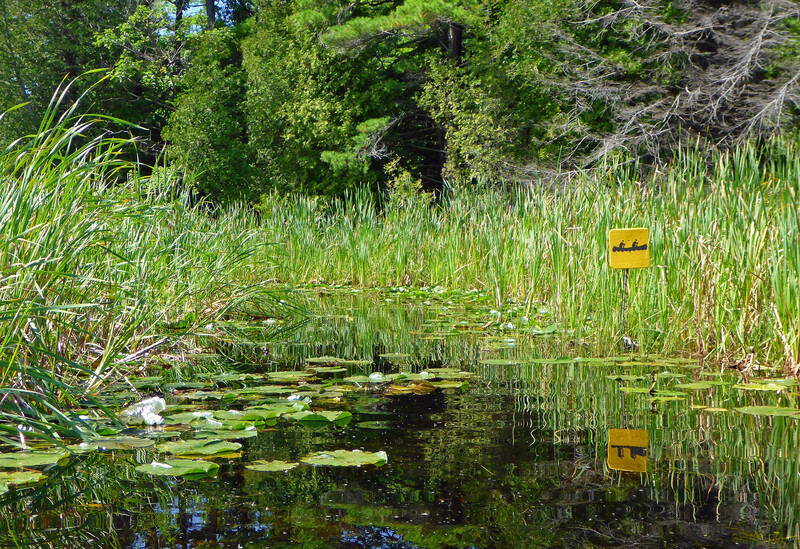 I’d set off from Grand Rapids planning to paddle the four-mile canoe-trail at Ludington State Park. It’s a delightful trip that follows the sandy and forested shoreline of Hamlin Lake, before heading inland through cattail marshes and landlocked ponds, returning eventually to the lake for the return trip. The trail is easy and well-marked. Portages are short, meaning 100 feet or less. Just watch for northerly and easterly winds as the lake shoreline portion is exposed. I’d stopped on the portage for quick cup of coffee, thinking to move on right away – just a minute or two sitting. Then it struck me: I didn’t have to be anywhere. I could sit for hours if I wanted. And, I was tempted to do just that. I had come prepared for contingencies. I had two fishing rods, just in case; a dry change of clothes and plenty of snacks. Campers at the park were still fixing breakfast when I launched. I’d come thinking I could get back to town by mid-afternoon and finish other work still sitting on my desk. But as I sat sipping coffee in the silence, I was taken by how pleasant it was sitting in the woods all by myself. A kingfisher chattered on the next pond over. The breeze rustled leaves now and then creating a soft whisper in the trees. Any tension from the work week had melted away. That change had become noticeable when I stopped to fish on the last tiny pond, a gem with dark, still waters. It could have been crossed along with the portage in just a few minutes, but I’d spent a blissful half-hour casting flies and poppers to lily pads, downed trees and open spaces along the shoreline. My orange feathered popper made great “bloop bloop” sounds in the stillness as I stripped it in. Not a fish rose to my offerings. 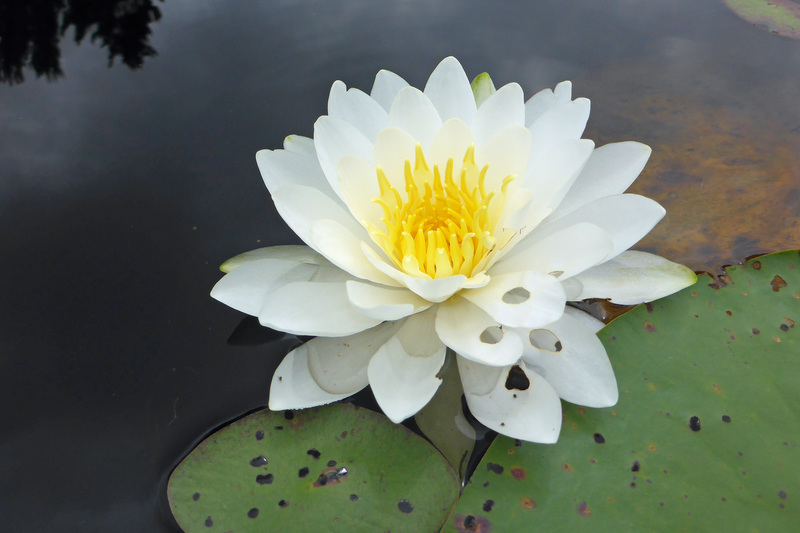 And, that was OK. Water lilies were in blossom all over the pond. I poured another cup of coffee and watched two mallards fly overhead. They had some place to go. For the moment, I didn’t. I thought about author, Richard Louv, who coined the phrase “nature-deficit disorder” in his book, “Last Child in the Woods.” It lays out a case for getting children outdoors more and the problems that arise when youth become disconnected from nature and get too immersed in digital life. His next book, “The Nature Principal, Human Restoration and the End of Nature-Deficit Disorder,” applies the same to adults and describes how they can benefit from reconnecting with nature in a variety of ways. Sitting in the woods, more at peace than I had felt for a while, I was inclined to agree. But I realized something else – call it the need to breathe. People increasingly complain that they have too little time for themselves due to increasing work demands and a busy family life. Some appear to be hyperventilating their way through the week. Even I had approached the day thinking, initially to cram it all in, the unfortunate result, perhaps of weeks, maybe months or years of doing just that. I began rummaging through my pack for something tasty to eat. Thirty minutes had passed and I felt refreshed. I was only half way out along the trail and still planned to fish the lakeshore on the way back. The forecast had called for diminishing winds and a westerly shift, meaning still waters. But my earlier urge to push through the trail quickly had now been replaced by a desire to experience it fully. And so it was that I leaned back on my elbows, stretched out my legs and thought — Ah, maybe just a little longer. 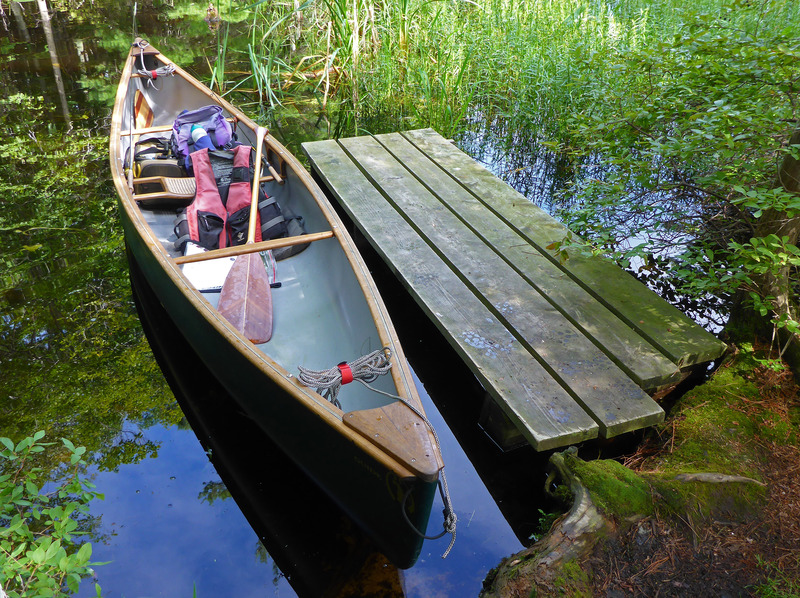 This entry was posted in Uncategorized and tagged Canoeing, Environment, Ludington Canoe Trail, Ludington State Park, Nature, Paddling, Richard Louv, State Parks, Trails. Bookmark the permalink.